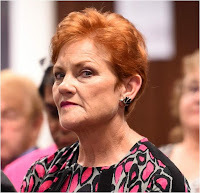 Despite the rise of the racist, islamophobic 'One Nation Party' and it's key spokesperson, Pauline Hanson, Australia has rarely suffered much in the way of overt racism (except, of course, against the indigenous aborigines that the European settlers almost eradicated). And Social Media just loves to fight back when any Racism does rear it's ugly head. 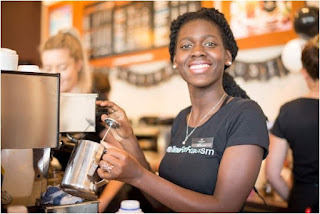 "I refuse to be served by a black person, can you get me a white lady?" The employee was rightly supported by the management, and the customer was rightly left waiting in vain - and shortly afterwards left the building. Seriously, who *wouldn't* want to be served with this smile? After a friend wrote about the incident on Facebook, the post quickly went viral. "It's amazing seeing all this support from all these people I've never met, who don't have any idea who I am but are still supporting me and standing behind me!"